The ceremony is the heart of your big day, and I love putting you at the heart of your dream ceremony. Planning a wedding should be fun and stress-free, and this is where you will really appreciate my calm and friendly approach. Once we've had a chat (or two!) and I've gathered some information about both of you and the sort of day you'd like, I will write a bespoke ceremony which is completely unique to you, and which tells your own story. This is where the fun really begins, as you can include any readings, music or anything else you like, and together we will build the ceremony you have always wanted. You might want to include hand fasting, or a sand ceremony, or a unity candle - or perhaps you have something else in mind... Of course, you may prefer a more traditional ceremony, and really don't like the idea of writing your own vows - no problem at all! Your unique ceremony will be written to suit you, so that you are completely comfortable on your special day. We will communicate as much as you like in the months leading up to your ceremony, until you are completely happy with the final wording - there are no egos here, the only opinion that counts is yours! On the day itself, I will be there at least an hour before the ceremony, to liaise with the venue, photographer, any musicians etc., to make sure that everything goes smoothly, and will catch up with each of you before the ceremony to address any last-minute queries and calm any nerves! 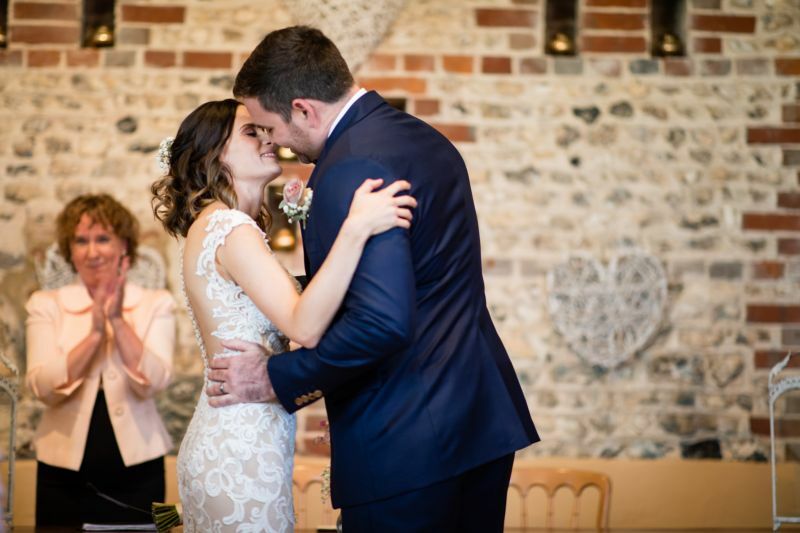 With my wealth of experience in delivering all sorts of ceremonies, you can be completely reassured that your special day is in safe hands.